If you watch Star Butterfly Vs The Force Of Evil (literally the longest name for a cartoon, ever!) 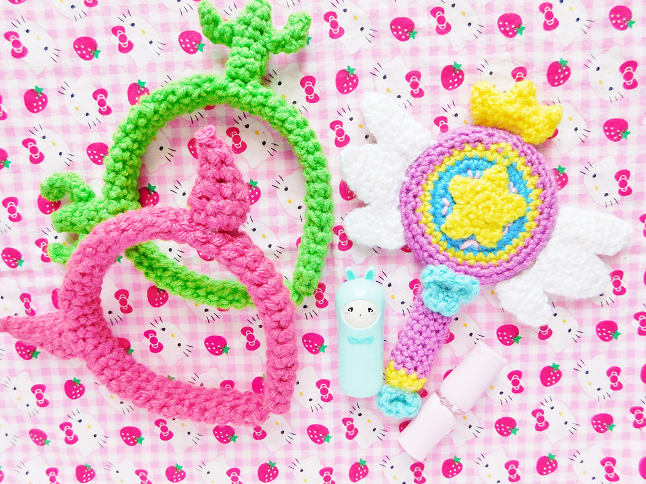 you notice that Star Butter wear tons of adorable headbands that wonderfully complaints her heart-shaped blush. Star wears various headbands in the series but the one she wears the most is a devil headband which she has in both red and hot pink. 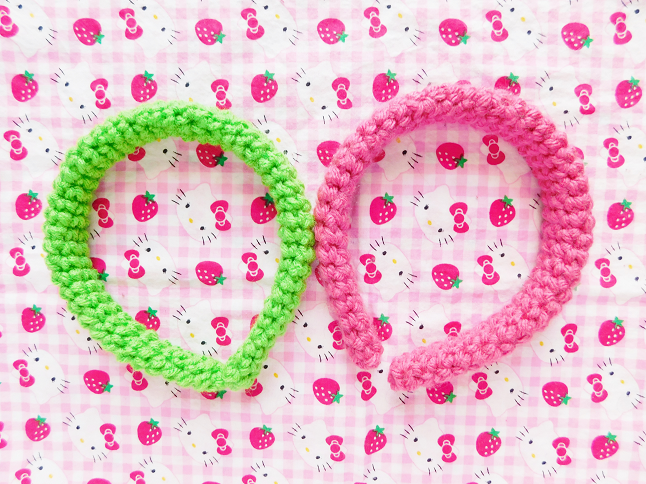 There are probably thousands of red colored devil headbands out there which is why I choose to make the hot pink. 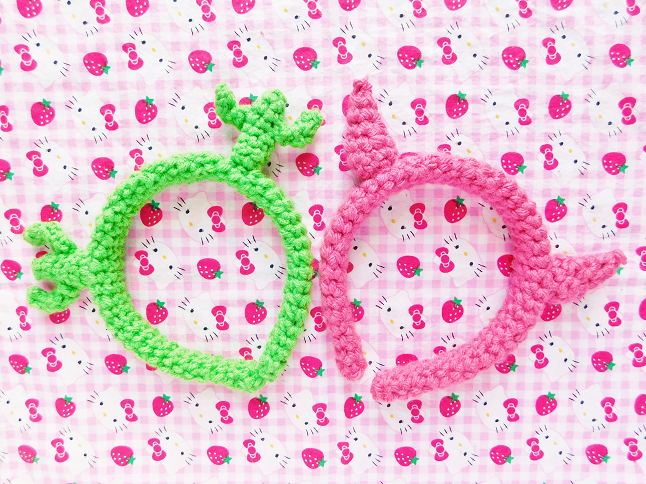 But it was the cactus headband that originally caught my eyes and gave me the idea to make these cute headbands from season one (episode 9 to be exact!). 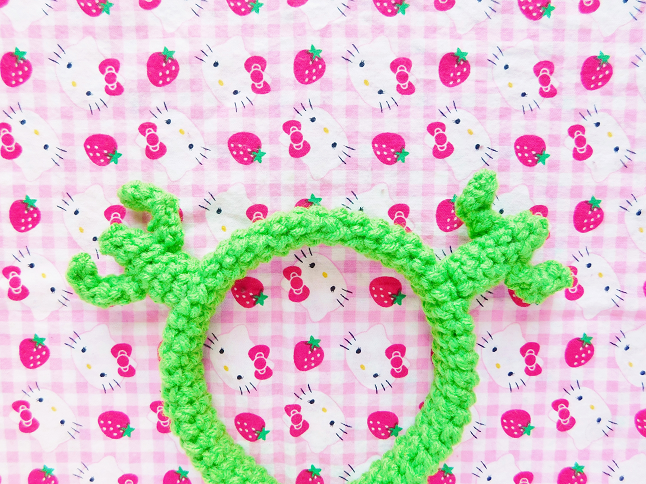 The basic crochet headband is easy and the devil horns aren't that difficult to make but the cactus(es? cacti?) can be tricky so if you have any trouble feel free to message me and I will help you as much as I can. 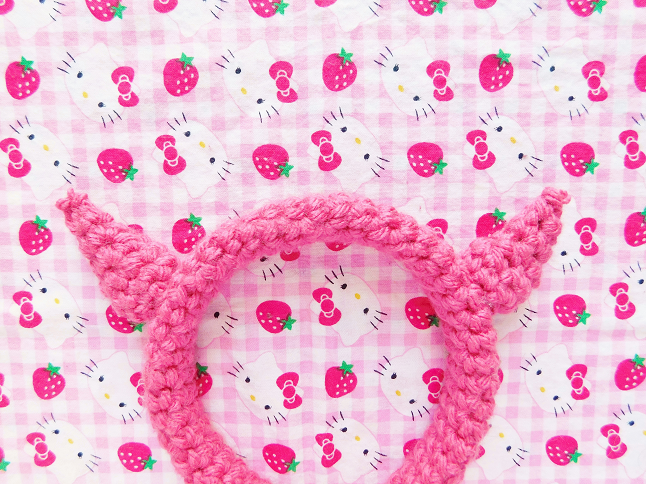 *Make sure you have a headband base because you will be using it as you crochet. - Ch 4, slst to 2nd st from hook. Attach the cactus leg to the side of the first cactus piece to the 4th row, repeat to the other side. 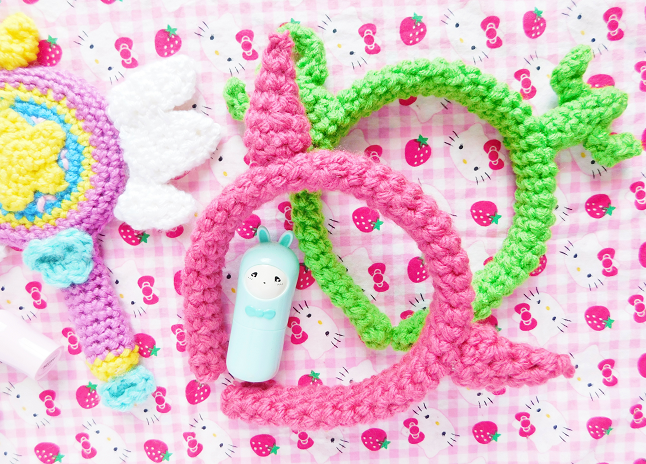 Lastly, use the hot glue gun to glue the horns to the headbands. I left 14 stitches between each horn and cactus. 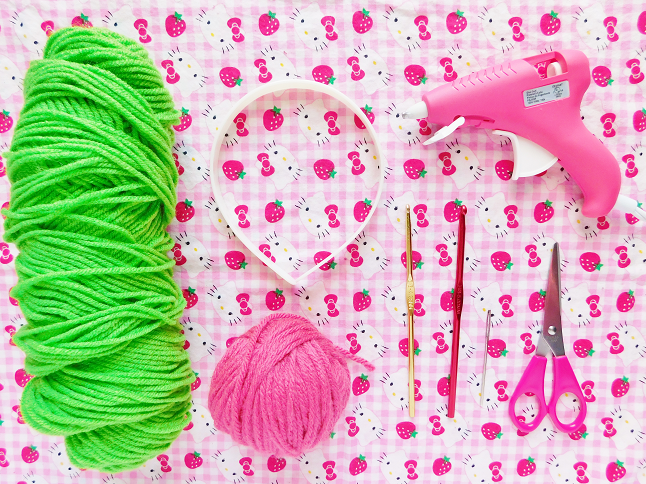 Apply a bit a pressure so that the crochet pieces securely stay on.